Ibe Kachikwu, minister of state for Petroleum has said that Nigeria is now in the process of reviewing all petroleum sector laws and in a few months, government is set to come up with comprehensive roadmap for the sector. Delivering a keynote address at the 2016 edition of National Association of Energy Correspondents conference, with the theme: The Urgency of Now, Kachikwu said that a review of the regulations affecting the oil and gas sector in Nigeria is now nearing completion. According to Businessday, Ibe Kachikwu said that a sector roadmap which his ministry has created has policies such as National Gas Policy, National Oil Policy, Fiscal Policy and National Downstream Policy embedded in them and are now almost completed. “We need consistent policies or else we will lose out to competitors,” Kachikwu said. He noted that oil production by OPEC members has shrink to 30 percent hence the ability of member countries of the cartel to call the shots has been reduced as non members who control 70 percent production have a stronger say in the determination of oil prices. Nigeria’s petroleum sector laws has come under intense focus in recent times as experts say the powers granted the President to award oil acreages based on discretion does not encourage transparency. Nigeria’s fiscal regime also suffers from weak regulation and outdated laws. 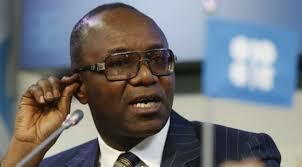 Kachikwu said that it is now urgent to review these laws in view of the challenges bedevilling the sector, top of which he said is militancy which has reduced production from about 2.2 million barrels per day to about 1.5million barrels, crimping gas to power plants and contributing to polluting the environment. “The solution to the agitation in the Niger Delta is not militancy and bombing campaigns, what we need is extensive dialogue,” he said.